In 1957 Ontario became the first Canadian province to introduce hunter training for new hunters. 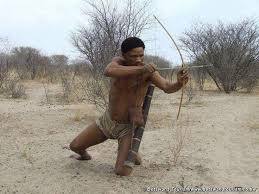 In 1960 basic hunter education became mandatory. Ontario's quest for improving the program and at the same time emphasizing skill requirement, mandated a safety course and testing for new hunters. The new program became effective in 1968. Presently, the program offers two firearms options (H1 and A1) and similar options for bow hunters. Individuals who wish to hunt with firearms must also successfully complete both the CFSC and the Hunter Education courses. HUNTING NEWS AND RELATED LINKS ARE AVAILABLE. JUST SCROLL DOWN FOR MORE INFORMATION. Hunting news and link area. Turkey forecast. BC. New hunting regulations. Tracking turkey hunt. No Sunday gun hunting. Moose permits reduced. Very interesting. Big game hunting permits increase. Dates set for hunting. Removing bear restrictions. Hunting, fishing rights. Alaska moose hunting. Download hunting guide. Right to hunt amendment. Gun deer season open. Sunday gun hunting? Sunday hunting ban. Regulations changes. Turkey regulations. Licenses on sale soon. Getting more people hunting. Deer hunting day move to Saturday. Turkey hunting soon Ohio. New hunting regulations came into effect on January 1, 2019. Game seals are now called "tags"
Tags can be printed on regular white, letter-size (8.5” x 11”) paper. You are responsible for protecting your tag from weather and damage. It must be kept intact and readable at all times. We recommend using a plastic tag holder or a resealable plastic bag to keep tags clean and dry. This will keep the tag undamaged in case a Conservation Officer needs to inspect it. You do not have to attach your tag and can instead keep the tag with you, provided you are accompanying the animal or are immediately available to produce the tag for inspection. You must securely attach the tag when you are no longer with the animal or immediately available to produce the tag for inspection. By law, you must be in possession of the original tag that is provided at the time of purchase. It is illegal to copy, alter or modify your tag, except as required for notching. A simple and consistent mandatory reporting process for hunters is now in place. Who has to report? All tag holders for moose, elk, deer, bear, wild turkey and wolf/coyote have to report even if they didn’t hunt or harvest an animal. How do I report? You must submit your mandatory hunter report directly through the licensing service, either by automated telephone line (1-800-288-1155) or online. When do I submit my report? You must submit your report at the end of your hunt or within 14 days of the close of the season. What happens if I don’t submit my report? Failure to report means you may be subject to penalties, including fines or restrictions on buying future licences. Will I still get a postcard? No. Voluntary postcards will no longer be mailed. In the know, general information. Big game season is again upon us and filled with mixed feelings. Excited to be out in the mountains and hope to put a good hunt on a deer or elk. On the other hand, I dread seeing what craziness will develop when poor "hunters" try to find an easy way to kill an animal. Yes, there is a big difference between hunting and killing. Hunting involves skill and determination, respect for the animals and for the traditions, and ethics handed down by good hunters. Killing is just killing. Little to no skill is involved in driving up and down roads in an attempt to catch something easy, or shooing an animal in somebody's hay field or their yard. Just because something is legal does not necessarily make it ethical. There is some huge misconception that driving out to a kill and bringing a dead animal home in one piece is a badge of honor. 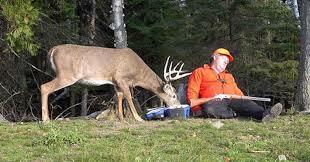 A good hunter will be packing out his or her animal on their back or on sleds or horses. I am encouraged to see a few young, tough hunters in the woods every year, willing to hike miles for a good hunt. I am disgusted to see road hunting, intercepting migrating animals, or surrounding a herd and wildly shooting into it. We don't need longer seasons to meet the Fish and Game harvest quotas. We need better hunters. It is a sad testament to the laziness of self-proclaimed "hunters" that the most frequently asked question of the Fish and Game is, "Where can I go to get an easy elk?" The question should instead be, "Where can I go to have a great hunting experience and, if luck and skill allow, harvest an animal?" Some will say that most of the elk move from public lands to private holdings during hunting season. While some certainly do, there are still plenty of elk on public land for those willing to hunt them. This is just an excuse to justify lazy and unethical hunting practices. Everyone who wants to be a real hunter should read Jim Posewitz's book "Beyond Fair Chase - The Ethic and Tradition of Hunting." It is a must-read for all young, aspiring hunters. Hunting is important. It should not be taken lightly or frivolously. Success in hunting is a bonus, and every animal taken well is a trophy. Doing it right is rewarding and just being in the woods in the fall is a gift. So get out there. Get up at 2 a.m. and hike miles to the top of a ridge in the dark. Hunt hard and make yourself proud. 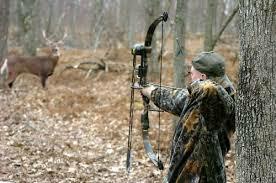 Teach your young people to work hard to develop the skills and toughness to be real, good hunters. You will be proud of them as well. Because a bullet follows the bore axis out the muzzle, it will fly nearly parallel to the line of sight until gravity pulls it unacceptably off course. Bear in mind that a bullet’s path is never perfectly straight. Gravity grabs the projectile as soon as it exits the rifle. In zeroing, you adjust the sight so your straight line of vision intersects the bullet’s parabolic path not far from the muzzle, then travels below it until the two merge at the zero distance. Beyond that, the bullet drops ever more steeply away from the line of sight. Tt’s a common misconception that a bullet rises above line of bore during its flight. It does not. It cannot. Sight-line is not parallel to bore line, but, rather, at a slightly converging angle. The line of sight dips below bore line and the bullet’s arc. Sightline never again meets bore line. Both are straight and, after crossing, diverge. A bullet hits above sightline at midrange, because sightline has been purposefully angled down through its trajectory. The bullet falls to intersect it at greater range. If the sightline were parallel with the bore, it would never touch the bullet’s arc. First shots to zero should be at 35 yards, whether or not you’ve bore-sighted. After each shot at 35, move the rear sight or scope dial in the direction you want the bullet to go until you hit point of aim. (Mind the dial arrows! European scope knobs typically turn clockwise to move impact up and right, while clockwise rotation on scopes built for the American market moves impact down and left.) Now, switch to a 100-yard target. I prefer that bullets from flat-shooting big-game rounds hit two to 2½ inches high at this range. Depending on the load, the rifle will then put its bullets close to point of aim at 200 yards. After satisfactory results at 100 yards, move the target to 200 or your zero range. During the last stages of zeroing, make sight changes only after three-shot groups. A single shot can be misleading. Windage and elevation dial “clicks” or graduations are engineered to shift bullet impact a precise measure at 100 yards. That’s most commonly ¼-minute of angle. A minute of angle is 1.047 inches at 100 yards (but shooters know it as an inch at that range), two inches at 200, and so on. A target scope may have graduations as fine as 1/8-minute; scopes intended for long shooting incorporate coarser elevation detents—½-minute or even 1-minute clicks—to lift point of impact with less dial movement. A greater range of adjustment results, as well. When you can’t turn the dial past zero, you also avoid the possibility of “full rotation” error, which can cause spectacular misses. European dials are typically marked in centimeters. Tip: Don’t go to any range without a pack or two of Gun Digest’s high-visibility EZ2C Targets! A Centers for Disease Control and Prevention (CDC) study on human lead levels of hunters in North Dakota has confirmed what hunters throughout the world have known for hundreds of years, that consuming game harvested with traditional ammunition poses absolutely no health risk to people, including children, and that the call to ban lead ammunition was and remains a scare tactic being pushed by anti-hunting groups to forward their political agenda. Today, additional information became available about the CDC study, originally released yesterday, that is important to disseminate to hunters, their families and the general public about the total and complete lack of any evidence of a human health risk from consuming game harvested using traditional ammunition. For instance, in the study the average lead level of the hunters tested was lower than that of the average American. In the CDC's study, children's lead levels had a mean of just 0.88 micrograms per deciliter, which is less than half the national average for children and an infinitesimally small fraction of the level that the CDC considers to be of concern for children (10 micrograms per deciliter). Yet, despite the total and complete lack of any evidence from this study of the existence of a human health risk, the Department of Health nevertheless urges that children under 6 and pregnant women not eat venison harvested using traditional ammunition. The North Dakota Department of Health's recommendation is based on a "zero tolerance" approach to the issue of blood lead levels that is not supported by science or the CDC's guidelines. Stephanie L.G. Henson- Manager, NRA Women’s Program Department, prepared the following article. I personally feel that it is a very basic information package every hunter would appreciate, it outlines fundamental preparation topics one should adhere to prior to a hunting trip; you will notice the word (state) mentioned in this article, this is applicable in the USA, in Canada please consider it as Provincial. Even though this article is prepared for the female hunter, men can learn a lot from it. REMEMBER HUNTING AND SHOOTING ARE GENDER NEUTRAL. The excitement of fall hunting season is just around the corner, and women across the country are preparing to attend Women On Target hunting excursions in pursuit of black bear, antelope, whitetail deer, pheasant, chukar and mule deer. Whether you are going to join them, or go on some other hunting trips this fall, there is ~ much that you can do now to ~ increase your chances for a safe, successful and memorable experience. One thing that most serious hunters have in common is an exceptional understanding of the game they pursue. While there is no substitute for what you can observe a field there is a great deal you can learn from reading. Brush up on things like your game identification skills. If you're hunting an area inhabited by whitetails and mule deer, for instance, but only one is in season, it is your responsibility to identify the legal game. What signs and tracks do you know? You may have heard terms like "scrape" and "rub," but do you know what they mean? What they look like? Learn what you can about habitat needs of the animals you hunt, not only to help you find them but because habitat is crucial to healthy game populations. To ensure you can dispatch the animal quickly, make sure you know the vital areas on any game you hunt. This is the time that you should go to the range on a regular basis to improve your marksmanship skills and familiarize yourself with the guns, ammunition and other accessories you will use. You need to be knowledgeable about how your gun operates. And how various ammunition; performs in your gun. You also need to know how consistent you are with shot placement from a variety of distances. Only then can you determine what your personal maximum shot range is. It's a hunter's responsibility to strive for making quick, clean kills. If you're a new shooter, Women On Target instructional shooting clinics can help you improve your marksmanship skills by providing an opportunity to receive basic marksmanship training from supportive instructors. Of course, the clinics are only the first step. Next, you need to visit your local club or range and practice. You'll find this process especially enjoyable as you watch your shooting skills improve. Local clubs often have NRA Certified Instructors who can help you if you want. Find out what type of hunting apparel and other outdoor gear you will need. Although women's hunting apparel is out there, it can be difficult to find. Women On Target national sponsors Cabela’s; Beretta and Browning offer clothing for women, as do some other companies. Some companies offer online sales; refer to their web- sites for details. Perhaps you are going to use binoculars, a map and compass, range finder or GPS system during your hunting trip. This is a good time to practice with the equipment so that using it becomes second- nature. You don't want to have to become familiar with it in the field. It is imperative to research state and local hunting regulations so you can ensure your compliance with them. Check the state agencies' web sites or publications. Also, make sure you know the deadlines to apply for the licenses, permits and tags you need. If you have questions about any- thing uncovered during your research, contact the state wildlife agency and/or your outfitter for clarification. Finally, use this time to work on your physical fitness. A program consisting of walking or running and moderate weightlifting should help you improve your cardiovascular health and enable you to carry your gear-or drag your buck out of the woods! As always, be sure to talk with your physician before beginning any exercise program. This may sound like a lot of work, but when you have a great hunt to look forward to, the preparation is part of the fun! Learning to hunt safely and competently is a continuing-maybe even lifelong-process. By preparing thoroughly for hunting trips, you will become a more knowledge hunter. As a hunter I cannot stress enough the importance of becoming totally familiar with your favorite gun. Shoot it at the bench to determine what bullets and loads it likes best but also shoot it at the range from various in-the-field" hunting positions. The most successful hunters are those who are extremely familiar with their rifles and the loads they use. Often experienced hunters tape ballistic tables for their selected cartridge to their rifle's stock. These tables suggest "holds" for ranges out to 500 yards. They take into account such considerations as wind drift. Such ballistic tables are included in the catalogs of all the major ammomakers and most of the better handloading manuals. If you're considering long-range shooting, take the time and effort to copy down such a "table" and tape it to your rifle stock. You'll be glad you did when the moment of truth arrives and you reach for trusty 01' Betsy, Ethel, Bertha, or whatever you call your favorite rifle. THE most recent Fisheries and Oceans Canada and Statistics Canada survey results indicate adult recreational anglers in Canada spent 6.7 billion dollars during 2000/01. In Ontario they contributed 2.3 billion dollars to the Gross Provincial Income (GPI), which was 35 per cent of the Canadian total. That supported 39,000 jobs. No comparative studies were available for hunting. In 2001/02 recreational fishing in Ontario raised 38.9 million dollars from licence sales for the Fish and Wildlife Special Purpose Account (FWSPA). 1,800 PYE. No bear numbers were available. In 2002/03, though, bear hunters generated 32 million dolllars for the GPI, while supporting 600 PYE. Deer hunters paid 5.6 million dollars for licence/pernlit sales, while moose hunters shelled out another 4.9 million dollars for the FWSPA. No GPI or PYE figures were available for deer and moose hunters, nor was angling data available for 2002.
WHO TO CONTACT, WHERE TO GO. Make sure all your paperwoprk is in order in addition to having current licences and registration for your firearm. Check with local municipality before you set out on your trip, dress properly. Obey all signs and regulations. Practice Safety at all time. 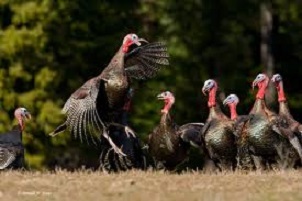 Extended turkey hunting hours and more.Check MNR web site. Please feel free to ask any question. Submit an e-mail.